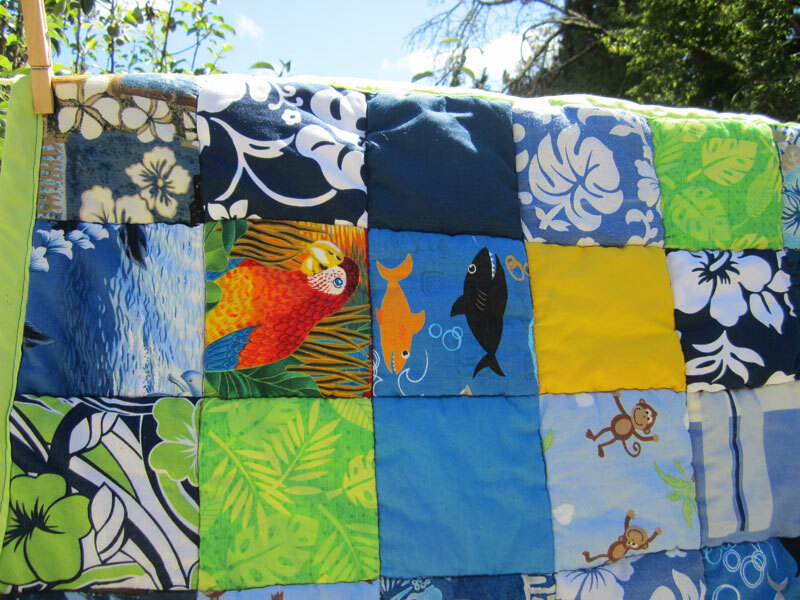 My last post about the Matisse’s Seaweed quilt reminded me about some super-simple tropical quilts I made a few years ago. Inspired by the high-end versions at Pottery Barn Kids, we chose a bunch of coordinating tropical and shirting fabrics (from the fabric store, my stash and even some cut-up clothes), cut them into 8″ squares and sewed them together. It’s a really basic quilt (I’m not entirely sure the machine sewing-in-the-ditch stitching I did to hold the layers together even technically counts as quilting, although I love that term), and I am definitely not precise or patient enough to make it perfect, but I like the way they turned out, they came together quickly and the kids were pleased to get to pick their own fabrics. 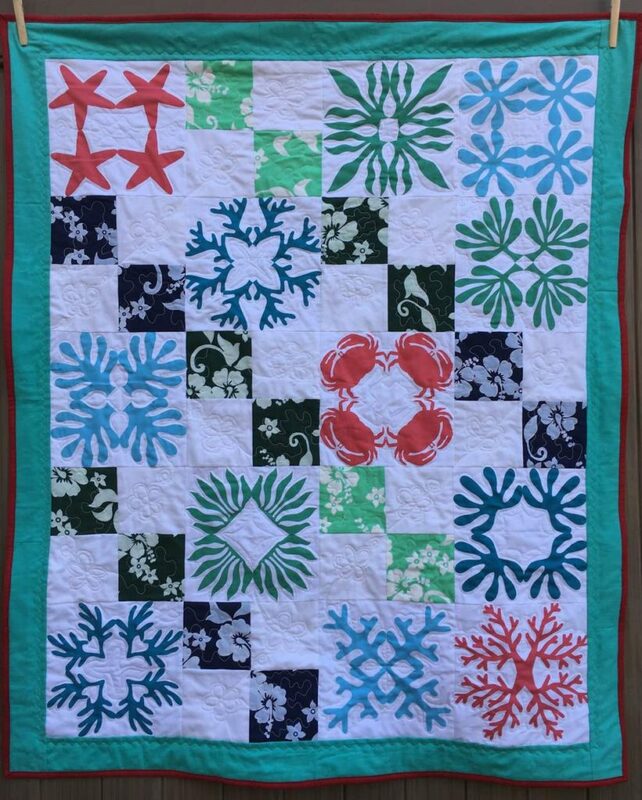 Judy at Sleeping Dog Quilts was nice enough to blog about this quilt she made with my Matisse’s Seaweed fabric back in March. I’m just now catching up on my own blog posts, but it’s actually a great summer quilt, so maybe this is the perfect time to share it after all. 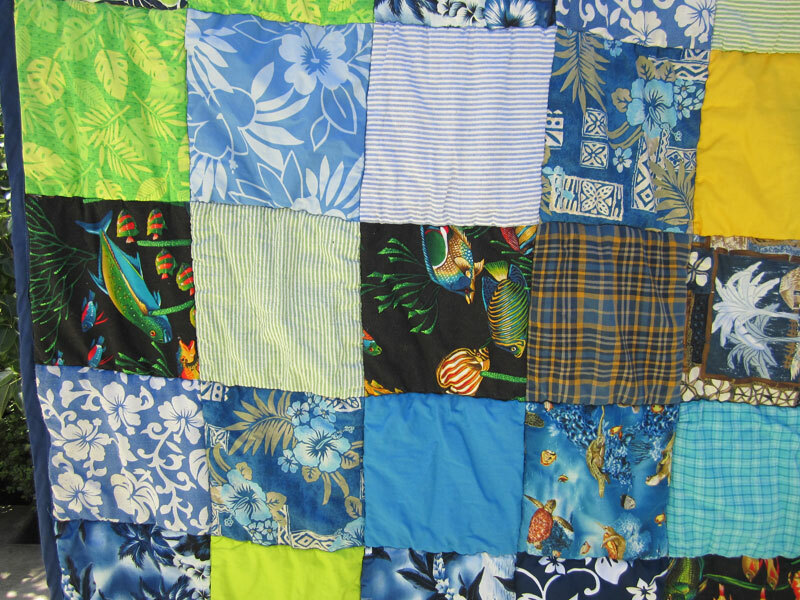 I like how she took pieces of my cheater quilt panel and mixed it up with other Hawaiian fabrics!